Becoming the premier choice for Richmond tree removal and tree care services is something we have been quite proud of during our over 30 years in business so far. Although C.S. 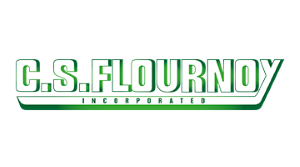 Flournoy began with a focus on stump grinding over three decades ago, the need became apparent quickly for quality workmanship in all areas of tree care service, so we answered the call. Since that time our Richmond Tree Removal Company has grown exponentially and offer a variety of services; in fact we even offer professional snow plowing and snow removal for the Richmond area. Our team is made up of fully trained, skilled and experienced members, including a Certified Aborist on staff. Aside from the basic licensing and insurance, we also have taken care of specialty needs like Certified Pesticide Application. We are ready, willing and beyond capable off taking care of any job you have, no matter how big or small. We take great pride in our ability to also offer the best in a rapid response time and safe quality work, all at beyond reasonable rates. We also welcome insurance claims and can help assist you through the process. Contact our Richmond Tree Removal Company today so we can get started on whatever you need done.